You might think you remember what it’s like to be a kid, but when it comes to creating a book cover that appeals to children, you probably shouldn’t depend on your memory. Kids change, tastes change, and you want to stay on edge of what’s eye-catching in the book world. 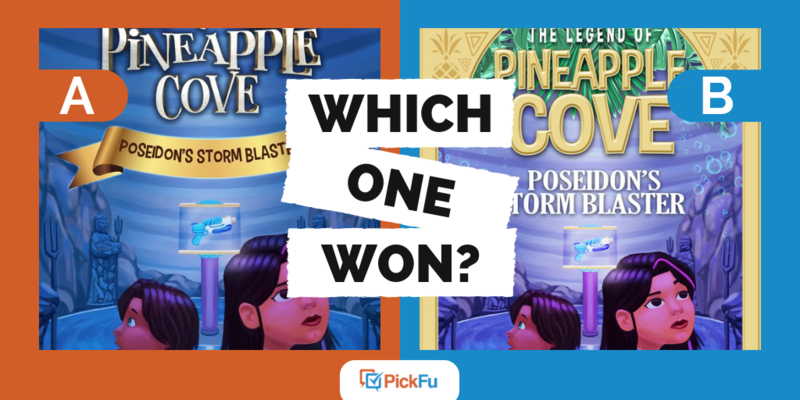 That’s why one author used a PickFu poll to test book covers for a children’s book. The poll asked its respondents—parents of 1, 2, or 3 children—to decide which one they liked best. Option A shows a blue background, two girls looking around them, and playful title font. Option B adds a yellow border and palm fronds, and adjusts the font to something more serious—but still kid-friendly. Can you guess which one won? When readers pick up a book about the end of the world, do they want the cover to hint at the ending? Or is that too much information, taking away the thrill of discovery? The best way to know: testing book covers. 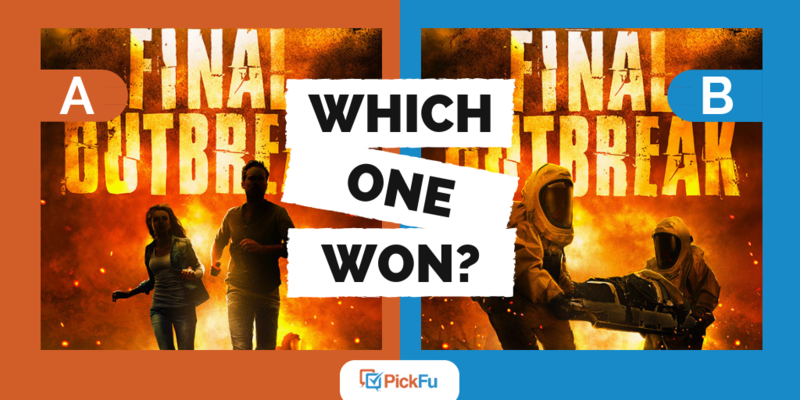 One author used PickFu to create a book cover test for a post-apocalyptic thriller. Option A shows a woman and man running away from a burning world, with two people in hazmat suits carrying a stretcher in the background. Option B does away with the man and woman and brings the two people in hazmat suits to the foreground.